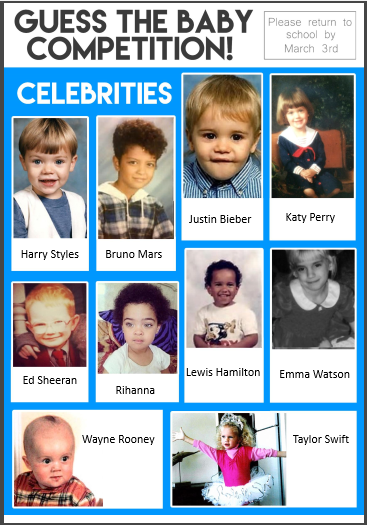 A big thank you to all who entered our 'Guess the Babies' competition. Winners will be announced in our Monday assembly. In the meantime here are the answers!